The Army’s Airborne and Special Operations Test Directorate was in North Carolina testing a military freefall parachute for static line operations recently which could mean that Special Operations Forces could soon be using these in a tactical situation. Green Berets from the 1st Special Forces Group (1st SFG) were in Laurinburg, NC recently to help test and certify the new RA-1 Parachute that is encased in a Double Bag Static Line configuration. The tests were conducted with both the C-27J and the Casa 212 aircraft systems. The Special Operators during the test phase jumped with and without combat equipment from altitudes of 6,000 to 18,000 feet above ground level. However, the operational limits of the RA-1 will be between 3500 feet and 25,000 feet AGL. The SF ODA Commander who wasn’t identified due to security issues was impressed with the new rig. “This was an extraordinary opportunity to conduct Double Bag Static Line training and to utilize our non-military free-fall detachment personnel to support the test,” he said. The new chute, according to the manufacturer consists of the Intruder 360 main parachute, the Intruder 360 reserve parachute, and the Raider 2 harness/container, and has been specifically designed for jumpers carrying heavy loads into rough, unfamiliar drop zones at night. These conditions demand a canopy that provides superior glide performance for maximum offset and performance characteristics to minimize the potential for injury on landing. The parachute has been certified for use up to 25,000 feet and can handle weights up to 450 pounds which is 90 pounds more than the MC-4. Both the reserve and main parachutes incorporate a reflexed airfoil section which provides a 4:1 glide ratio. That will allow Special Operators to travel farther and faster under canopy. The parachute utilizes a 360 square foot area but they also make a smaller version with a 300 square foot area. The testing board used a Special Forces ODA that was not MFF (freefall qualified), to see how well they were able to handle the parachute that was designed for HALO (High Altitude Low Opening) and HAHO (High Altitude, High Opening) operations. The testing for this has been on-going since 2013, at Joint Base Lewis-McCord, Washington in 2015, around 50 Special Forces troops from the 1st, 3rd, 5th, 7th and 10th Special Forces Groups along with paratroopers from the 3rd Squadron, 38th Cavalry Regiment tested the HALO version of the parachute, which will eventually replace the aging MC-4. Individual Special Forces groups have been using the RA-1 but it is thought in just the HALO mode. The use of the static line will give SF ODAs a bit more flexibility for a stand-off infiltration. It will allow a small Special Operations team to remain much closer to each other during infiltration. However, widespread use of this equipment in a static line mode isn’t really needed or feasible. During initial testing in 2015, Special Forces detachments were able to land within a 25-30 meter circle, much tighter than when using traditional static line parachutes. The Airborne and Special Operations Test Directorate (ABNSOTD), U.S. Army Operational Test Command (USAOTC) that conducted the testing began as The Airborne Board which was a service board activated in December of 1944 at Camp Mackall, North Carolina. The unit’s history can be traced back through the Testing and Developing Section of the Airborne Command, organized in 1942, at Camp Mackall, North Carolina, to the original Parachute Test Platoon, activated at Fort Benning, Georgia, in June 1940. Although the Airborne and Special Operations Test Directorate (ABNSOTD) has operated under various designations over the last fifty years, the mission of the unit has remained the same; plan, execute, and report on operational tests and field experiments of Airborne and Special Operations Forces equipment, procedures, aerial delivery, and air transportation systems in order to provide key operational data for the continued development and fielding of doctrine, systems or equipment to the Warfighter. Safety for the paratroopers and Special Operators is always of the utmost concern during the testing phase and those concerns will drive the train despite trying to create as much realism incorporated into the training and testing phase. The MFF (Military Free Fall) Detachment of the ABNSOTD conducted over 100 jumps from a CASA-212 and then the C-27J to ensure that all the procedures and techniques used were safe. Currently, the C-27J is only authorized by the Army to conduct conventional static line jumps and MFF parachute jumps but this successful testing will pave the way for Special Operations Forces to conduct long-range insertion from the C-27J when using the RA-1 parachute system in Double Bag Static Line configuration. 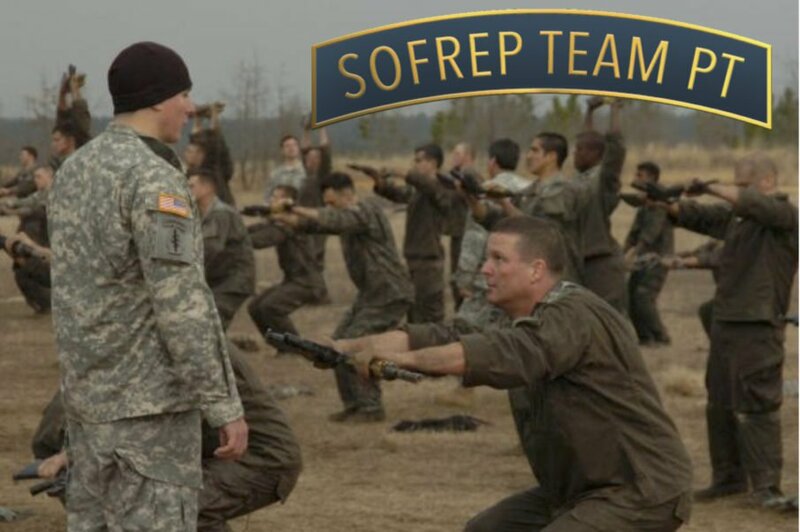 The Airborne and Special Operations Test Directorate has always sought out participation from the various Special Operations units and personnel during their testing. This way the soldiers in the line units get to use, test and experience the new equipment and/or procedures in a tactical environment before they are incorporated. This gives the Army immediate feedback on how well or not they will work. Soldiers are encouraged to give suggestions to improve on equipment and procedures as well. This new equipment will only enhance the versatility of the Special Operations units. In limited uses, at the ODA level or smaller, it will make the job of the Special Operator easier to accomplish any mission thrown their way. Not only will it make the operator more versatile, but the parachute itself is more versatile as well. It can be used in the double-bag static line as during the test but also in the traditional HALO, HAHO operations.